The Original GameBoy came out in 1989 and did not have a back lite display or colors. It was straight up LCD style. It was quite impressive for its time selling over 100 million units during its life. I remember the first one I ever played when I was 11 years old. The original GameBoy needed an upgrade in the late nineties. It was still very popular, but after almost 10 years people wanted to see color. So Nintendo was generous enough to make one in 1998. 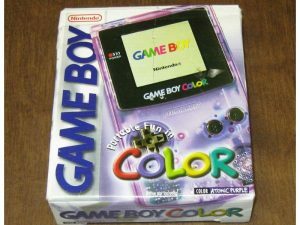 The Gameboy Color was finally here, yippee everyone said. It would sell an additional 18 million Gameboy Color units and make a whole library of Game Boy games in color. The old games would still play on it too. Tetris DX, Wario Land II, and Pocket Bomber-Man were the first games I ever played on it. I picked up a used GameBoy Color at a garage sale a few years ago. I never owned one of these when I was younger. I can’t say this was my most favorite handheld ever, but it sure was an upgrade for its time. 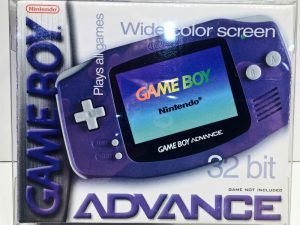 The GameBoy Advance came out in 2001. It was another redesign of the GameBoy and based on a 32-bit platform. This was also the first GameBoy to provide more of a landscape gaming experience. It was a bit wider and the controls were left and right instead of being located at the bottom of the handheld. The GameBoy Advance would also play GameBoy Original and Color games as well. Nintendo was smart to make it backward compatible. The GameBoy Advance SP came out in 2004 as a slimmer version of the Gameboy Advance. This was my favorite version of all the Gameboys. The Gameboy Advance and SP would sell an impressive 80 million units, wow! After 9 years it was finally discontinued in 2010. GameBoy handhelds would have been around just a bit over 20 years at that time. It’s hard to believe it sold almost 200 million units between all the different versions. During its run, Sony and Microsoft could not touch Nintendo in the handheld market. They tried but failed miserably and it was not even a contest. 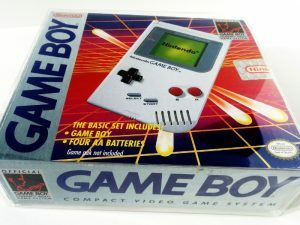 The GameBoy was not technically the first portable game system that Nintendo put out. 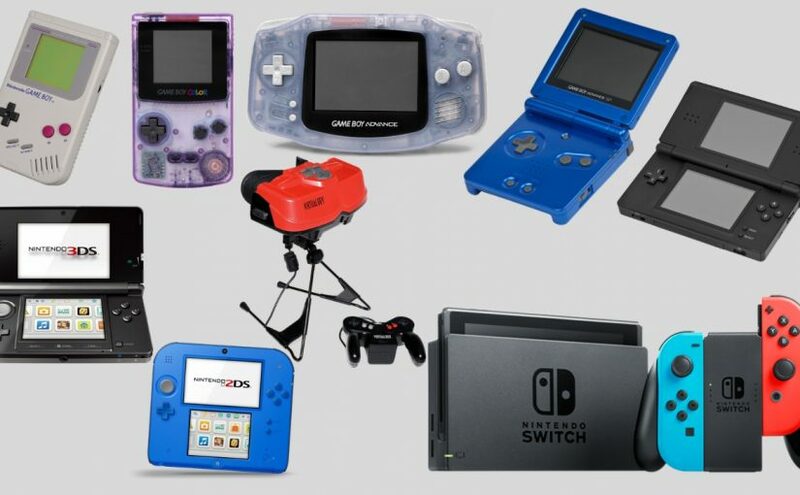 They had released some portable gaming systems before called Game and Watch. They are pretty collectible too. However you cannot swap out cartridges, each one has its own game in it. Being able to switch out games with cartridges on a portable system is really what made the GameBoy such a big hit! Here’s an Original Nintendo GameBoy commercial posted on YouTube. After 15 years of success with the GameBoy line, it was time to move on to something new. The Nintendo DS system was released at the end of 2004 and showed all Nintendo fans a new level of portable gaming. The DS was released in four different versions during its life. The models were: The Original DS, The DS Lite, The DSi, and DS XL. The entire DS line featured dual screens and WiFi access capabilities. One screen was on the top and the other was on the bottom. The bottom screen also had touchscreen functionality. 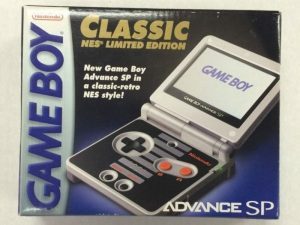 It was a huge leap forward from the GameBoy line. 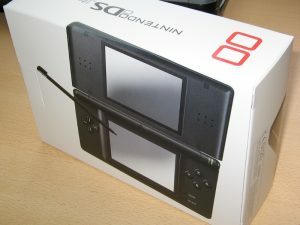 One big advantage of the later DS models was that they were significantly lighter than the original DS. The later models also had better brightness controls for the screens. Plus, the DSi got upgraded with two cameras, instead of just one. The DS XL got a major upgrade by having larger screens in it. The all-time best-selling game was Super Mario Bros for the DS! Not a surprise, Mario is awesome. By the end of 2014, the regular DS product line came to an end with about 18 million units sold. The Nintendo 3DS came out in 2011 and was a huge upgrade over the DS. It had faster hardware and the capability of displaying stereoscopic 3D graphics without the use of 3D glasses. There’s also an XL version of the 3DS that has a bigger screen. 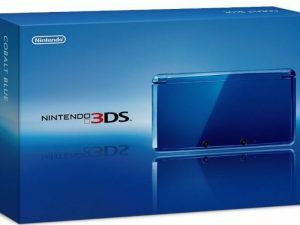 Overall, Nintendo sold over 66 million units of both the 3DS and 3DS XL. If you’re a Zelda fan, you’ll love the Zelda collector editions for the 3DS and 3DS XL. The 3DS was themed for “Zelda: Ocarina of Time”, while the 3DS XL was themed for “Zelda: A Link Between Worlds“. 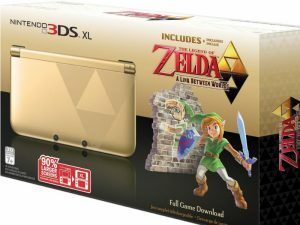 The latest 3DS XL bundle was “Zelda: Majora’s Mask Limited Edition“. All of these are highly sought after collectibles and available to buy on eBay or Craigslist. The 3DS really utilized Nintendo’s eShop for buying digital video games. You could purchase both new and retro games. You could also download augmented reality games using the digital cameras that came with the unit. It had full WiFi access and an internet browser built in too. But Internet browsing was not very practical in my opinion. 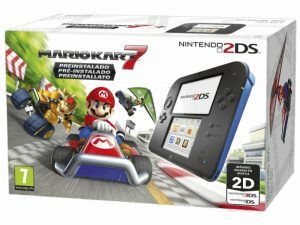 There’s a stripped-down version of the 3DS called the Nintendo 2DS that is also available. It has no 3D capability which is fine for lots of people. Many people don’t like the 3D graphics and turn them off when playing the 3DS; I was one of those people. Overall, I really enjoyed playing all the Zelda and Mario games available on the 3DS. I did not play any 3rd party games except for Sonic the Hedgehog. I recently sold my 3DS XL; my Nintendo Switch is its replacement. Here’s a Nintendo DS commercial posted on YouTube. Here’s a Nintendo 3DS commercial posted on YouTube. The Virtual Boy came out in 1995; it was a complete failure. It was supposed to be some type of tabletop portable gaming system. To play it, you had to look through a pair of 3D scope goggles and hold a separate controller. The Virtual Boy used a 3D stereoscopic display set up by utilizing wire red line graphics. It was a horrible game playing experience and Nintendo would later realize this huge mistake by the sales numbers. 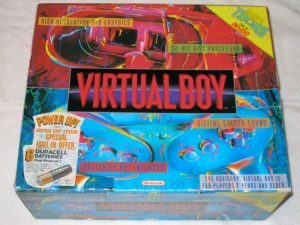 The Virtual Boy was such a big flop they discontinued it in 1996 and only had 22 games for it. Plus, it sold a very sad 770,000 units. If you’re curious and want to check one out, you can view the for sale listings on eBay. I once tried one out and played Super Mario Tennis. Afterwards, I felt sick from the 3D action, I never played it again. Here’s a Nintendo Virtualboy commercial posted on YouTube. It was in November of 2016 when I first heard about the new Nintendo Switch (Wikipedia Article for Switch). I knew right away I wanted to have one, so I did a pre-order and got mine on the launch day, March 3rd, 2017. It’s a portable console that you can dock and play as a home console. It’s got a ton of different control options and is a true hybrid game system between portable and home. The TV commercials also did a great job showing off its features and capabilities. People watching could clearly imagine all the fun they’d have owning and playing this new system. By far, it’s the best Nintendo system I’ve ever played! Except for the Wii or the original Nintendo Entertainment System (NES). 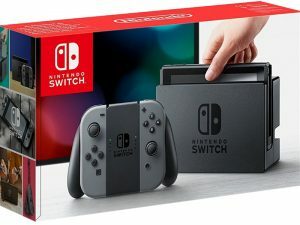 BTW… Here are the links where you can buy your own Switch: Amazon, Best Buy, GameStop, Target, ‘Toys R Us’ and Walmart. My all-time favorite game so far on the Nintendo Switch is The Legend of Zelda: Breath of the Wild. The 1 – 2 Switch game is also pretty cool. The upcoming Super Mario Odyssey game looks amazing too, that’s coming out later in 2017, just before Christmas. If that was not enough for you, below I’ve listed some of the games confirmed so far! And you can check here for the latest updates straight from Nintendo. The Switch is a new system with lots of potential. Who knows how far Nintendo will push its limits. I definitely see this being very collectible in due time. In other words, I’ll be keeping mine forever. Here’s a Nintendo Switch commercial posted on YouTube.